You Don't Know Mac: Tote Bag Giveaway Winner! Today is June 9! It's You Don't Know Mac's first birthday! Woo! 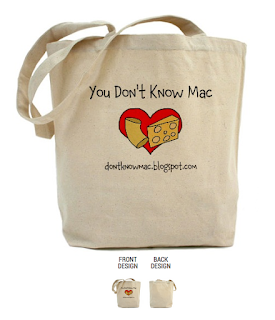 Congrats to Jessica, who has won her very own You Don't Know Mac tote bag! 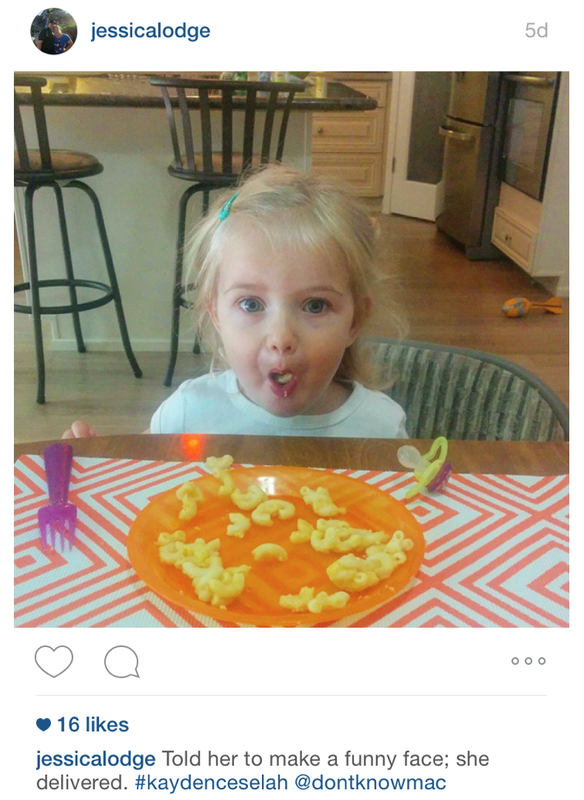 This photo is too cute not to win! You can follow You Don't Know Mac on Instagram, too, and who knows... Maybe you'll one day win a tote bag as snazzy as this one, too! Thanks again to all my awesome readers and contributors over the last year. It's been really fun to get photos, recommendations, recipes and more from all of you. I hope you'll continue to share your mac and cheese experiences and let me know what you think of some of my recommendations. Happy Birthday, You Don't Know Mac, and Cheers to all of you!